The Sinn U1 Series has become the best selling in the brand's history and is recognized as iconic to the brand. The new Sinn U1 SE changes the original design of the classic Sinn U1 by adding a fully Tegimented PVD black case and a new dial, bezel and hands, which feature SuperLuminova in an ivory color. The result is a watch that is a bit more subtle in design as the watch uses no red as in the standard Sinn U1. 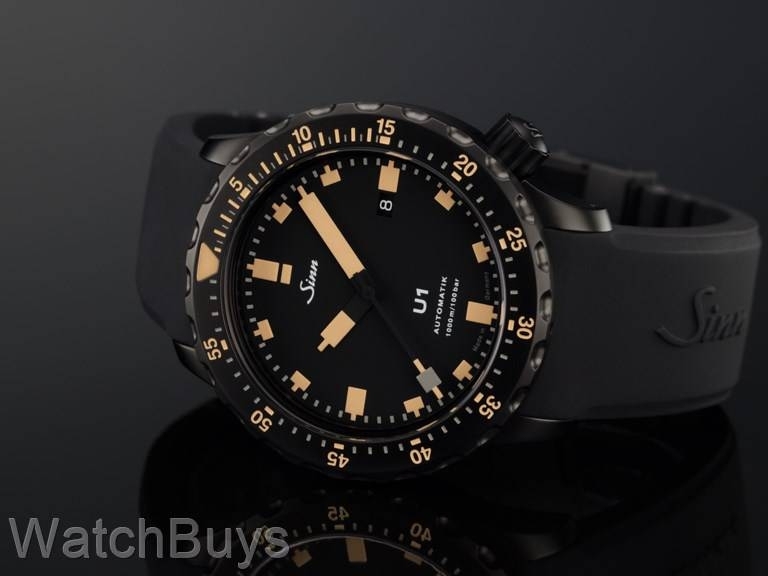 The new Sinn U1 SE Black on black rubber strap features the same great case design made in-house from German submarine steel at Sinn's case making facility in Glashutte, Germany. Once the case is complete, the Tegimenting process begins, and when we say "fully Tegimented" we mean what we say - case, crown, bezel, case back and even the anti-reflective coating. And unlike watches made in stainless steel, the watch case does not need to be rinsed with tap water with each exposure to a salt water environment since it is made from true submarine steel. 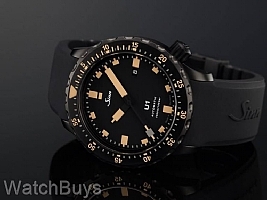 The international testing lab of Germanischen Lloyd has tested the Sinn U1 SE on rubber strap, and determined that the watch can be certified as water resistant to 1,000 meters. This same firm tests submarines for their ability to withstand the effects of underwater use. Matte black dial with date at 3, ivory SuperLuminova on hands and markers, and the same ivory color is carried over to the bezel. Other features include sapphire crystal with anti-reflective coating, and black locking clasp which is hardened using the Tegiment process.